The movement I’d start would be called “You are enough.” To every little girl or boy that is faced with adversity or doesn’t feel understood, you are enough. To adults who outwardly appear to have it all but somehow feel they are lacking, you are enough. To the man or woman who doesn’t believe that he or she can change their circumstance, you are enough. This is the foundation of true confidence and belief in oneself. To free ourselves from hidden beliefs that hold us down. When I truly feel this in my bones, I am free to be and to love. We’d look each other in the eyes, energetically or verbally, send these words to each other. 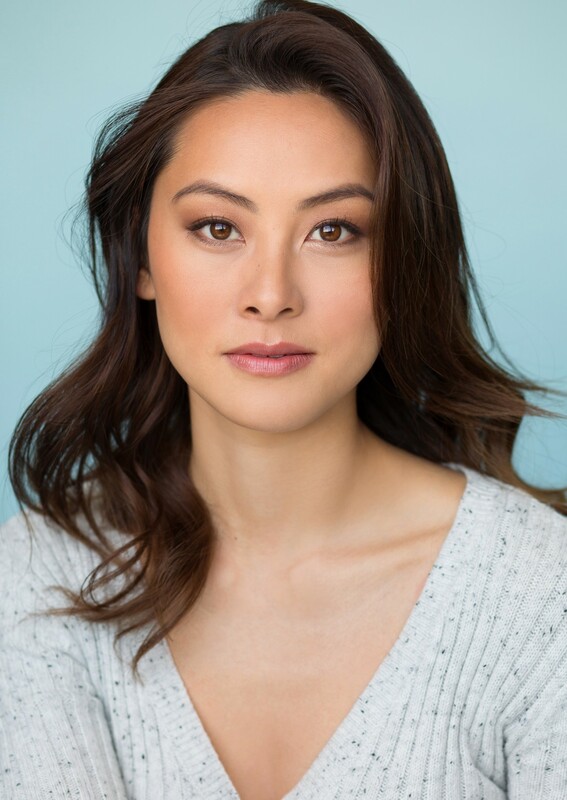 As a part of my series about TV’s rising stars, I had the distinct pleasure of interviewing Diana Lu, an actress based in Los Angeles, CA. As the first of her family to be born in America, she often finds herself reconciling the differences between being American and being Chinese. This desire to illustrate the Asian American experience and find a sense of belonging is what fuels her desires as an actress and writer. 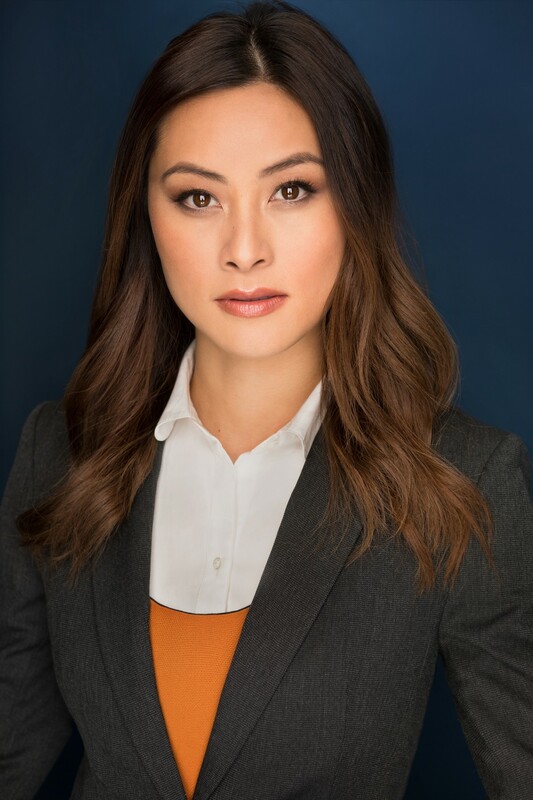 She recently completed a Summer Theater Company at Royal Central School of Speech and Drama in London and you can catch her on NCIS:LA, comedies such as Brooklyn Nine-Nine, or the fun daytime drama, The Bold and The Beautiful. I was born and raised in San Francisco and was the first in my family to be born in America. I have three siblings and my younger sister is my best friend. We didn’t have a lot of material wealth growing up, so we leaned on our creativity. We’d create our own games with what we had. Draw clothes for our paper dolls that we’d get from the library. Write and illustrate our own books and magazines (ads included), and make up stories with our stuffed animals. It was a really good time because we were happy with what we had and we focused on the right things — each other and fun. Solace came from my siblings, but growing up first generation wasn’t without it’s struggles. I had to learn a lot of things about being Chinese and American independently because there wasn’t an adult I knew who could explain it. I also found the role of parent and child reversed when I had to speak on my parents behalf to authority figures. Not only have these experiences made me stronger, but they have shaped who I am as an artist and helped define the stories I want to tell. I lost someone I loved shortly after I graduated college. It was abrupt, he was young and I assumed he was invincible. One night I was talking to him and the next he was gone. When this happened I had just started a job at a Big 4 accounting firm, but this loss made me question why I was doing what I was doing. Most importantly, it drove me to question the purpose of my life and why I was here and he wasn’t. I spent the next four years in acting, voice, and dance classes, before pursuing acting professionally. Acting gave me a way to connect to the human experience and to other people in ways that were less common in our daily lives. I also really enjoy the collaborative efforts of filmmaking — a group of individuals coming together to create a piece that will hopefully provide a new insight to the audience or leave them feeling less alone. I used to read to kids at an elementary school through a Screen Actors Guild program and was particularly fond of reading books that remind kids that they are limitless in the opportunities they can pursue. One day, I picked up a book called, “If I Were a Writer,” by Joan Lowery Nixon and finished the class off with, “You all can write your own books too.” A girl came up to me after class and innocently asked, “Ms. Diana, can you read a book you wrote next week?” The first response that came into my head was, “No, this is for you, not me,” but with that one question, she challenged me to practice what I preach. I’m now on my journey of writing a children’s book about a penguin who overcomes not being understood by her family. I’m really excited about a short film I’m working on with an up and coming writer/director. It’s about a woman who can’t leave a bad situation, even when there’s an offer for a way out, because she doesn’t know her worth and has lost faith. I’m a huge fan of exploring complex women and circumstances. As an avid hiker, I have found that there are parallels between hiking and diversity in TV. When I hike, I follow the path because I know it’s safe and I don’t want to harm the environment. Most people do this in their life until they’re forced off the path. When we see ourselves on TV, we see paths. We see characters like us going through situations or taking risks that we otherwise wouldn’t have, and that visual has the potential to spark a change in a persons life without being ‘forced’. This is great because change is how we evolve. A bulk of people who consume television do not get the opportunity to interact with all different cultures regularly. TV provides a glimpse into how others may live. This inherently facilitates compassion and understanding which we can all benefit from. Always. Lastly, it is very beneficial for minorities themselves. The shows I watched as a kid rarely had any Asian actors. Full House was based in San Francisco which has a large Asian population, but I can’t recall seeing anyone who resembled me. When we see ourselves on TV, we feel a sense of belonging, possibility, related to, and understood. Media is more than just entertainment it facilitates change. Support one another. You are able to open the doors in front of you because someone before you opened those doors behind you. Respect the past and celebrate your peers. You’re not competing with one another, you’re rising together. To keep a foundation strong, you must lean into one another. If one person loosens up, your foundation will inevitably collapse. Write. Write. Write. Content that relates to your experience. It doesn’t have to be race specific, but human specific. Stories that resonates beyond color of our skin, but just so happens to be portrayed with someone of color. This, I think, is very powerful. 1. Find things that you love doing outside of acting. Not activities that you may enjoy a little and you can use for your acting, but activities that may have no tangible or foreseeable benefits besides personal joy. 2. It’s not about you, so don’t take any of it personally. Don’t get down on yourself for too long because it stops momentum. Actually, you’re probably going backwards. 3. Keep it simple, stupid. People want an honest portrayal. It’s not about what a great actor you are. It’s about being honest when telling the story someone’s entrusted in you. 4. Learn about yourself and understand who you are. Experiences can be our teachers and we have many of them daily. Before I walk into something important, I ask the experience to show me what it wants me to learn. If you’re growing, you’re living. 5. Remember that you are only human. Do your best in the moment, challenge your fears, and then have faith that what is meant to be will be. Know yourself well enough to identify signs of ‘burn out.’ Identify ways to help reset your mind, body, and soul. They will be different for each person so try different things until you figure it out. Hold onto your vision — your why you do what you do — while you rest, so you don’t get lost. Also, have faith. Lean on God, or whatever you believe in. There are so many, but the one that sticks out as I’m doing this interview is a quote by Bruce Lee: “Honestly expressing yourself…it is very difficult to do. I mean it is easy for me to put on a show and be cocky and be flooded with a cocky feeling and then feel like pretty cool…or I can make all kind of phony things, you see what I mean, blinded by it or I can show you some really fancy movement. But to express oneself honestly, not lying to oneself…now that, my friend, is very hard to do.” Expressing yourself honestly is easy to say, but requires a lot of introspection and bravery because sometimes you do not like what you see. Oprah is a woman that’s been on my list for some time — overcoming adversity, consistent student of life, and staying true to what she believes vs. what others want her to do. Reese Witherspoon — a woman who doesn’t sit around and wait for opportunities, but finds stories that uplift all women to tell. Strong, brave women.